Dimensions 0.75 by 7.75 by 11.75 in. Amazon.com description: Product Description: It is ten years after an aging Batman has retired and Gotham City has sunk into decadence and lawlessness. Now as his city needs him most, the Dark Knight returns in a blaze of glory. Joined by Carrie Kelly, a teenage female Robin, Batman takes to the streets to end the threat of the mutant gangs that have overrun the city. And after facing off against his two greatest enemies, the Joker and Two-Face for the final time, Batman finds himself in mortal combat with his former ally, Superman, in a battle that only one of them will survive. 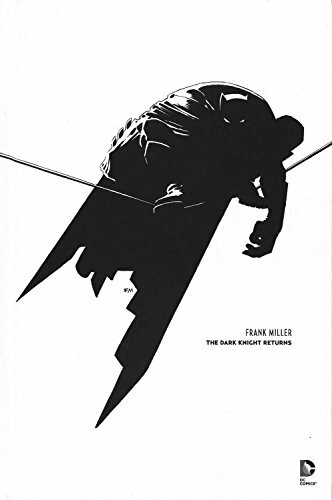 Frank Miller's BATMAN: THE DARK KNIGHT RETURNS in collected here in his and Klaus Janson's gorgeous black and white pencils and inks.